Is it difficult to look after a five tree multi fruit orchard? This question is asked very often. The answer is NO, it is not difficult, not really. But like all living plants and creatures, it is a great help to be willing to try to understand, what it is that make trees tick. Why do trees behave in certain ways and what is it we can do to make life comfortable for trees, or at least tolerable to cope successfully when things go astray or are threatening to go belly up? This means it is important to revisit your trees at regular intervals and look at the way the tree is presenting itself to you. If, for example, the newly formed leaves at the end of the growing shoots are rolled up or curled up, the tree is very likely trying to defend itself against an intruder such as a colony of aphids. Or, another example, when leaf drop is occurring, it may be that the tree is crying out for water. Or, when the bark of the tree has changed colour from a healthy brown to deep red, this is very likely a sign that the tree is suffocating due to lack of oxygen near its growing roots, due to impeded drainage. 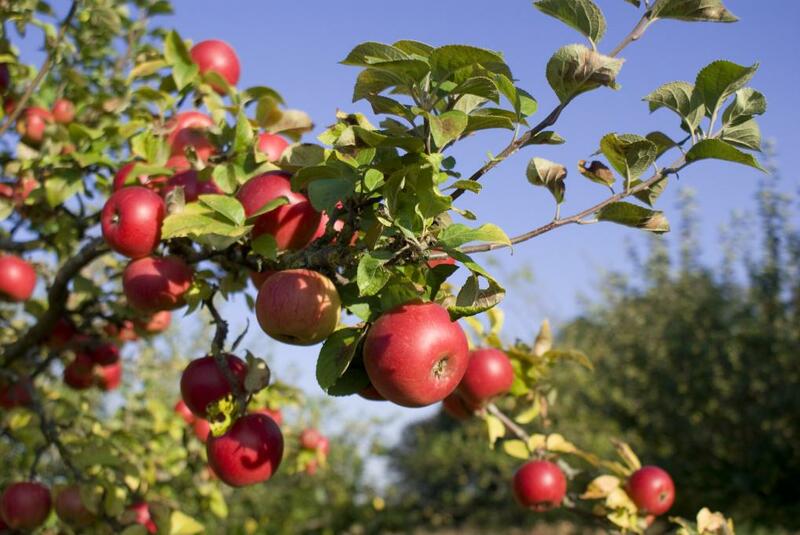 Summarizing, having your own multi fruit orchard is a wonderful source of good food and of great interest apart from supplying you with truly delicious home grown fruits. Like kids, they do appreciate attention at regular intervals, and as such repay you many times over.